A 'Love'ly Surprise Cake!! 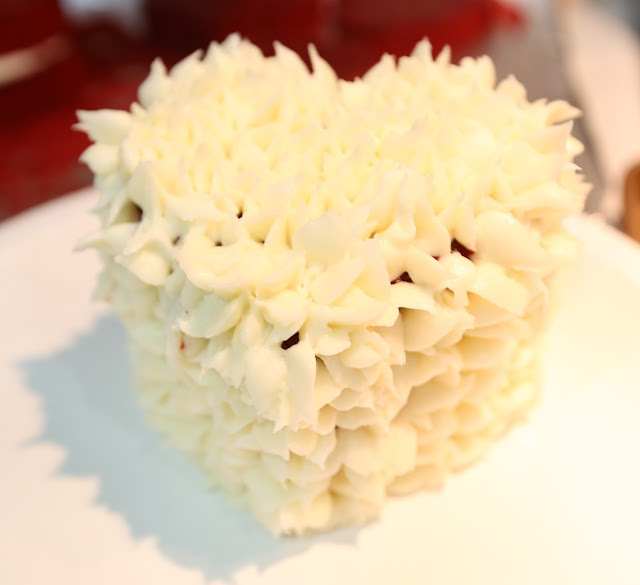 Magnolias and Sunlight: A 'Love'ly Surprise Cake!! I am all about a good homemade present for Valentine's Day! 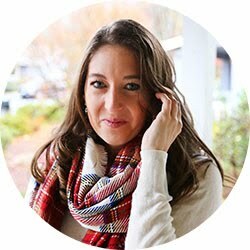 Whether it's a DIY crafted project (check tomorrow's post! 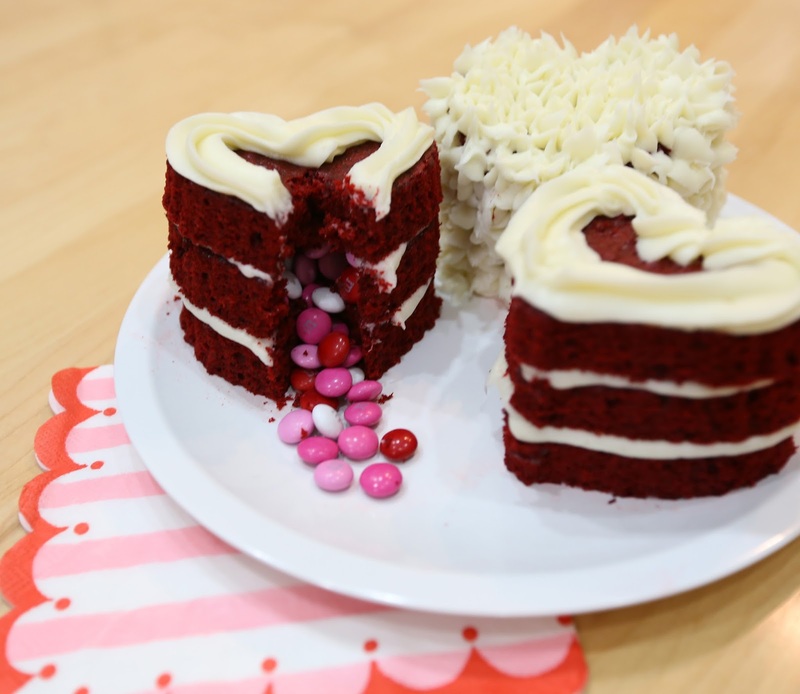 ), a dozen (or 20) cupcakes, or this amazing surprise cake I am sure whoever you're gifting to will feel the love in all of your hard work! And Valentine's M&M's to decorate! Make your Red Velvet cake according to the back of the box. 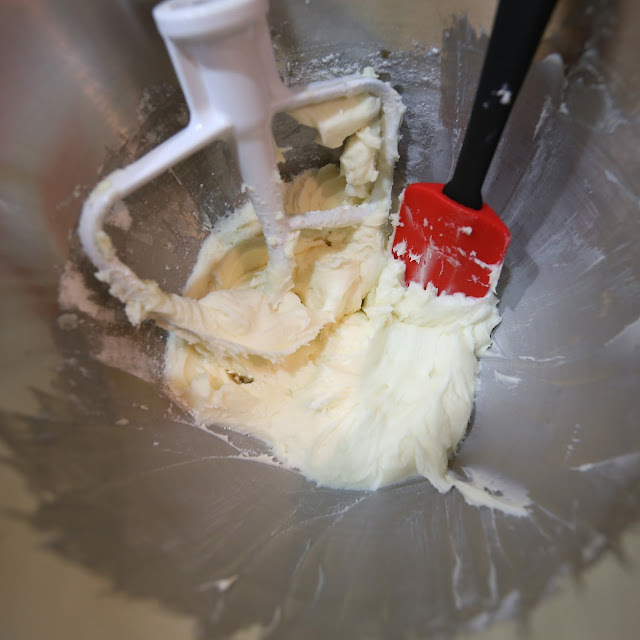 And mix until there aren't any lumps in the batter. I chose to use a box because of the amount of time decorating these takes, but like I said above if you want to make it from scratch more power to you! 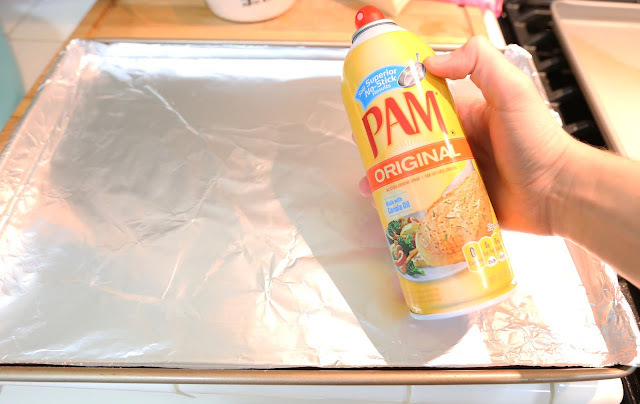 Use a non-stick cooking spray on the foil. 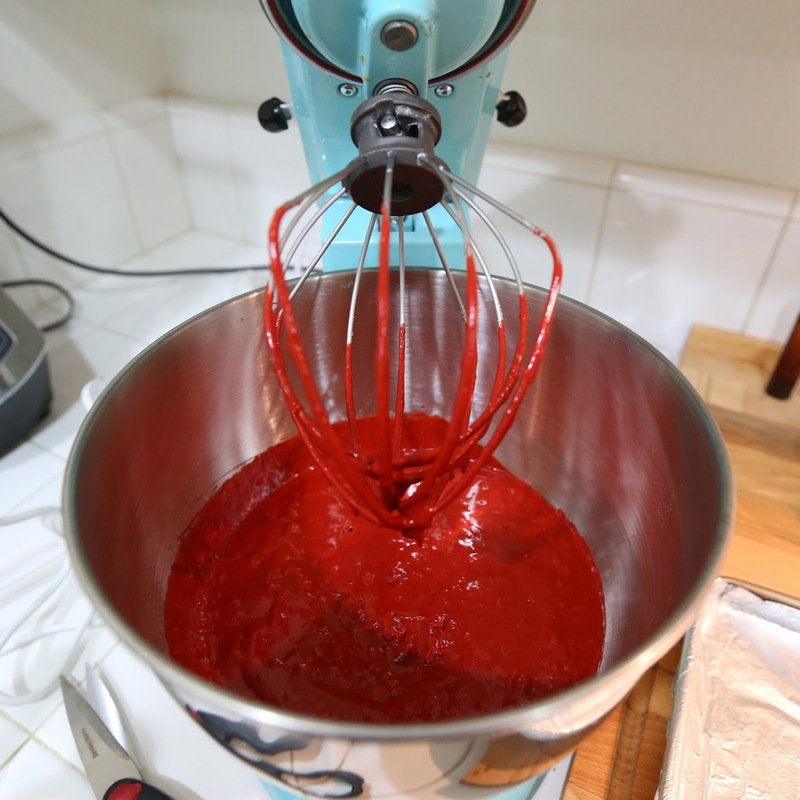 Don't forget this step or your life will be super complicated after the cake is done baking. 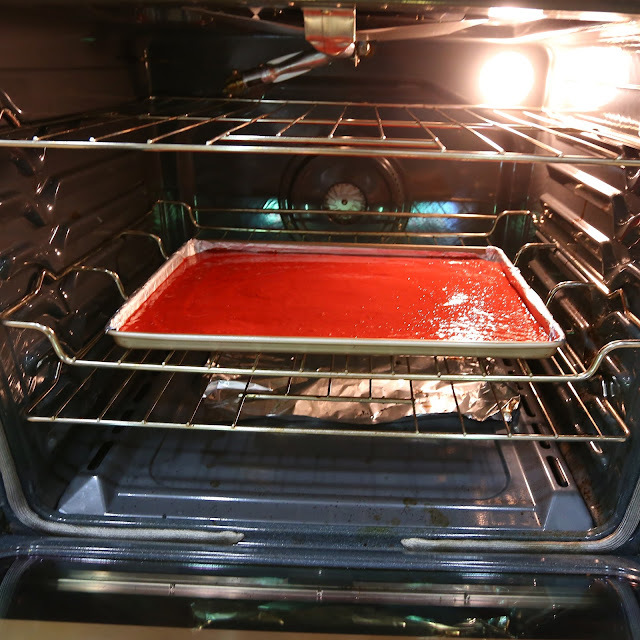 Bake on 350 degrees Fahrenheit for 20 minutes or until a toothpick comes out of the middle clean. 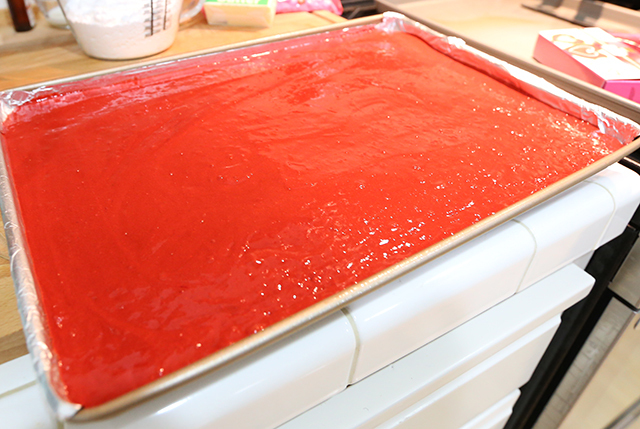 While the cake is baking, start on your icing! 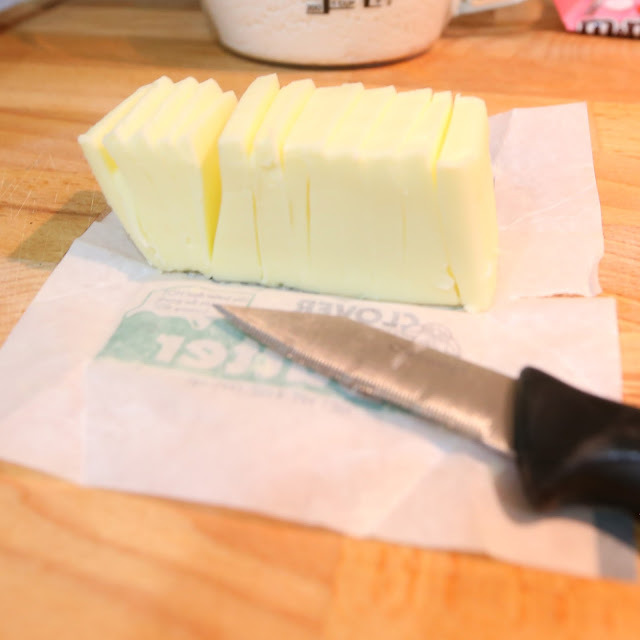 Slice your room temperature (softened) butter into smaller pieces. 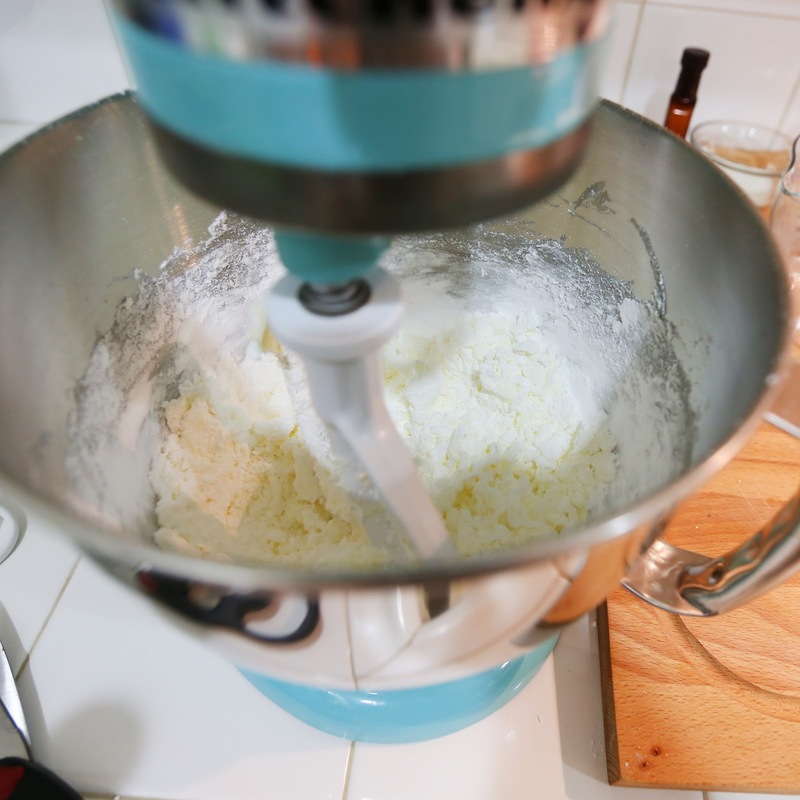 This helps it from turning into a butter blob in the mixer! Combine all the icing ingredients until it's smooth and fluffy. All of the powdered sugar should be fully incorporated. 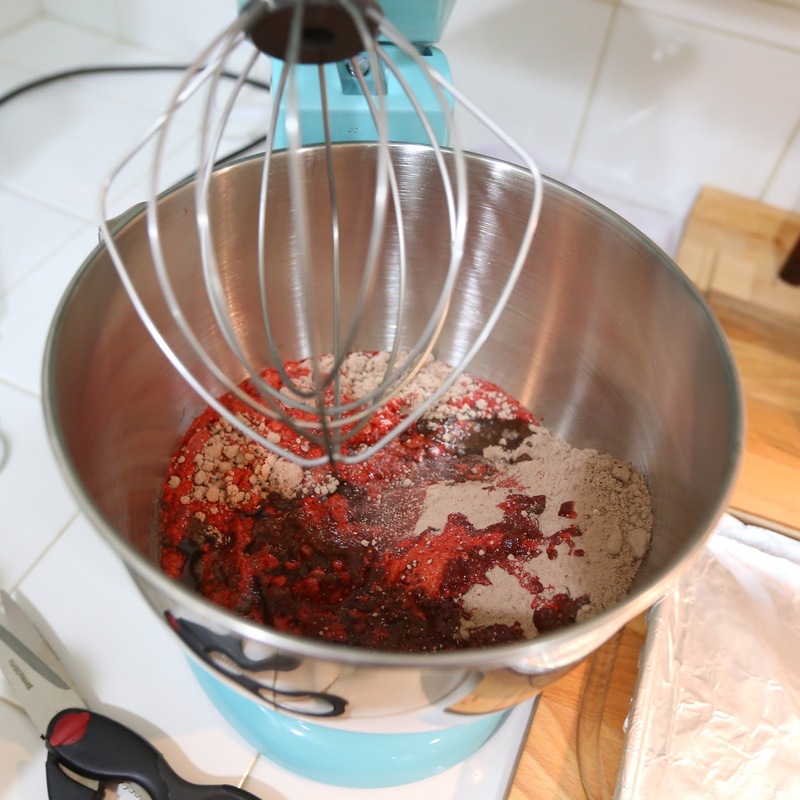 It helps to use a rubber spatula and scrape the sides of the bowl. Let your cake cool completely!!! 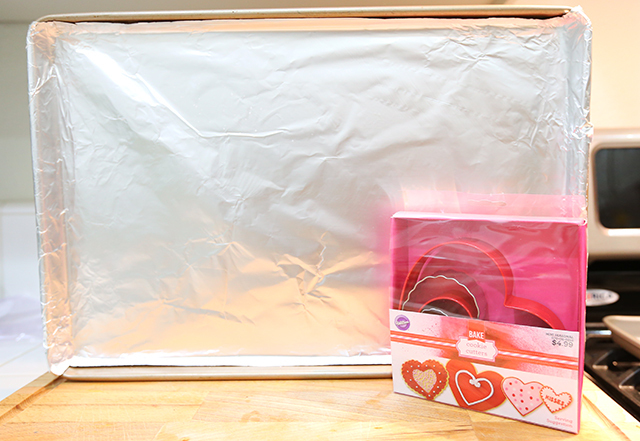 Once it's cooled down unfold the foil from the edge and use it to slide the cake out of the pan onto a flat surface (like a cutting board). Pick two cookie cutters a large and a small. The large cutter will be the size of your mini cake and the small one should fit inside the other leaving about 1/2 inch. 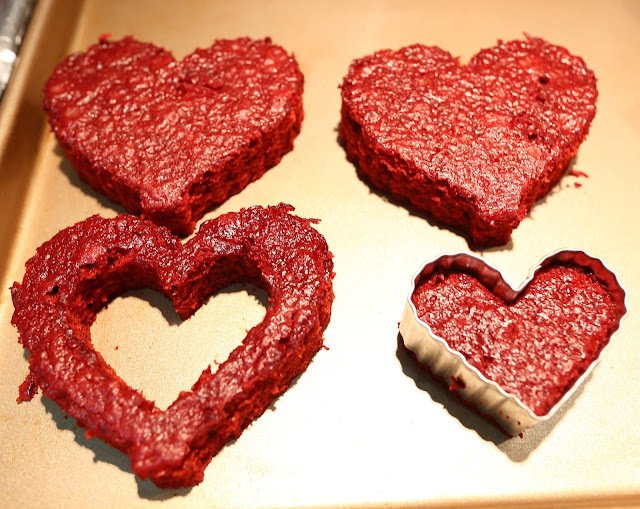 Cut out three large hearts. Then use the smaller cutter to cut the middle out of one of the three. 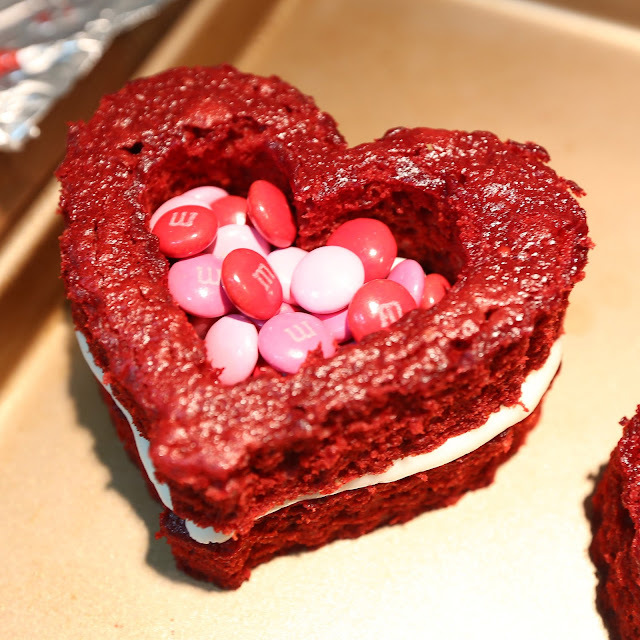 You can save and ice the middles to make bite-sized treats that match your bigger surprise cakes. 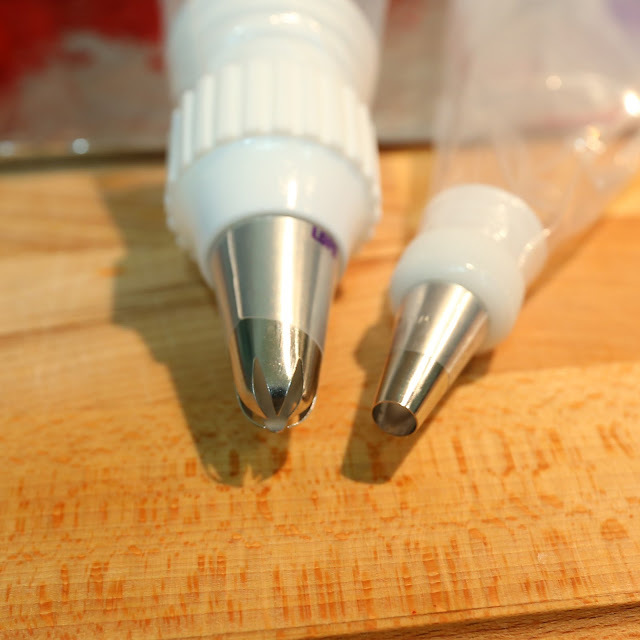 To decorate: Pick two tips for your piping bags. I used a small plain tip and a fluted larger tip. 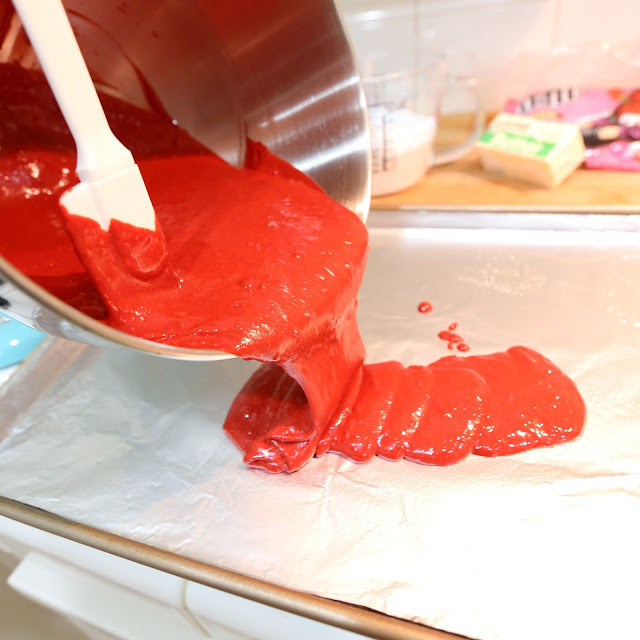 Put a small amount of icing into the piping bag with the small tip and then fill the larger tipped piping bag with all the remaining icing! 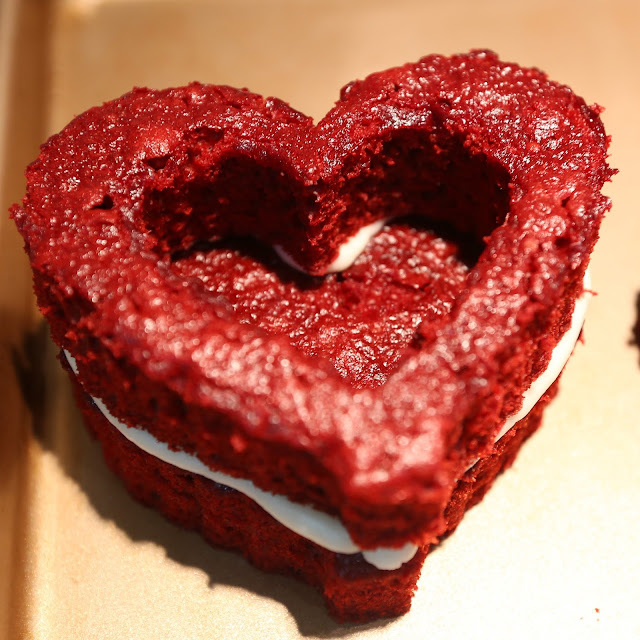 Using the smaller piping tip, pipe the edges of one of your large hearts. 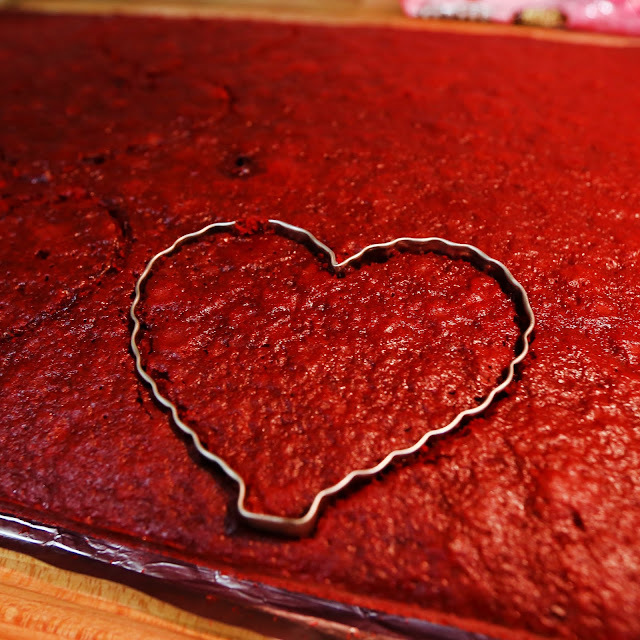 Take the heart with the middle cut out and place it on top of the icing. 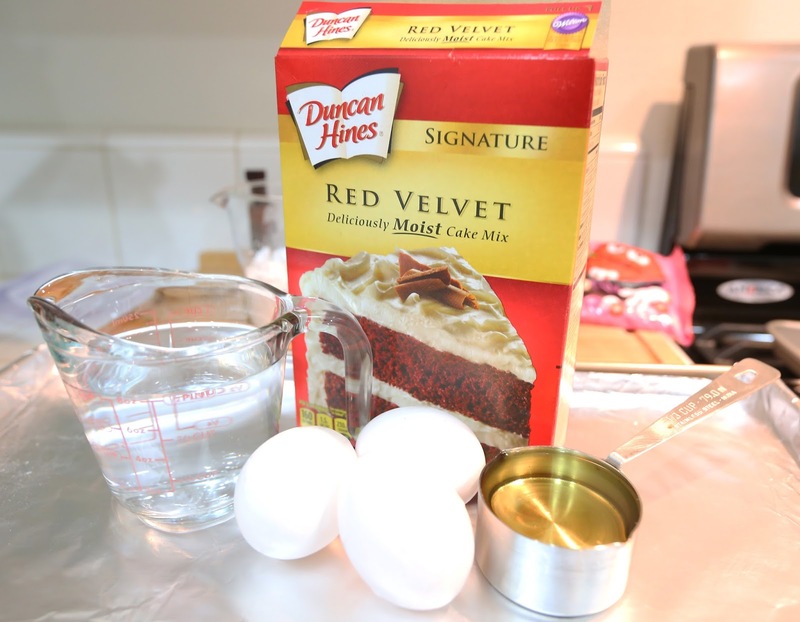 This will create a little cake bowl for you to fill with your surprise treat! Put as many M&M's as you like into the bowl. 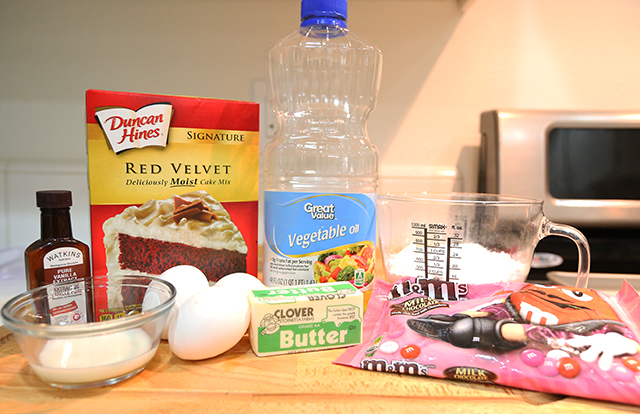 The more you add the better the effect will be when someone cuts into the cake! Once cut they will all tumble out onto the plate! Surprise! Pipe another line of icing around the top and and place your last heart to cover the candy filling! You can decorate however you want! I piped little flowers all over one for those people who love a lot of icing, but I also really like the naked cake trend that's popping up in bakeries and all over Pinterest so for the other two, I went pretty simplistic and just added a pretty outline to the top. 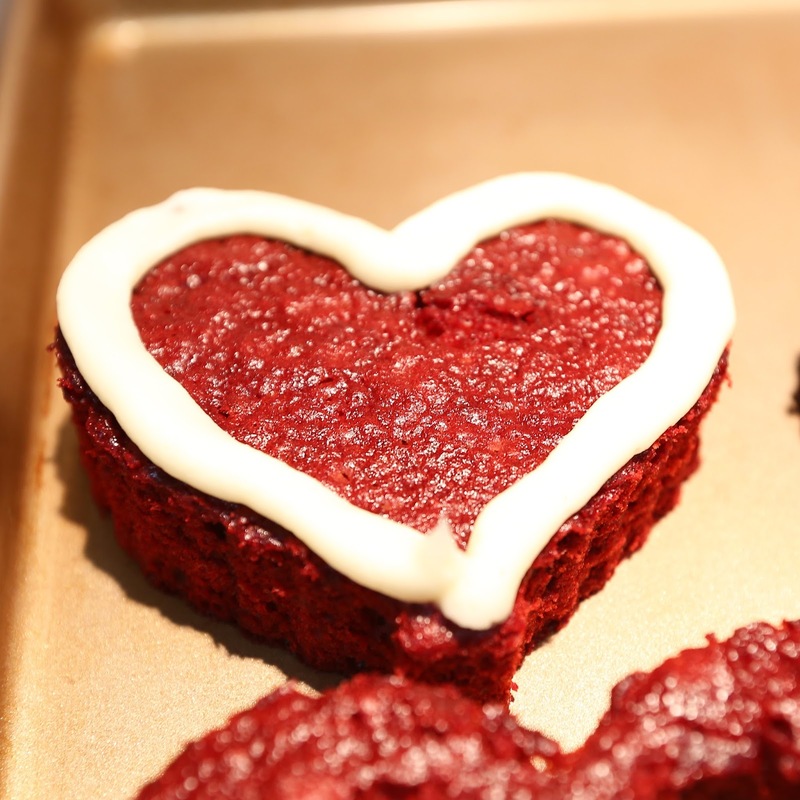 Plus, the person I'm gifting these to isn't crazy about too much icing. And there you have it! 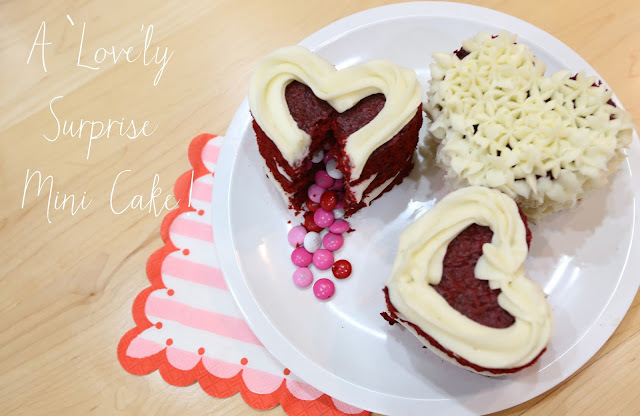 A yummy and pretty Valentine's treat to share!! 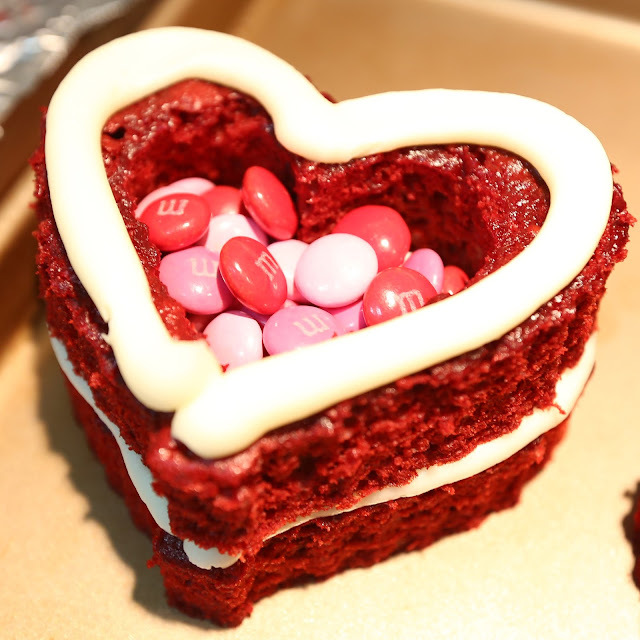 Let me know if you make these for someone this weekend! I'd love to see your creations!